Happy New Year to all Taekidokai 2016! Happy New Year to all Taekidokai students New Zealand and Australia from the New Zealand Instructors. We hope that you are all having a relaxing break and recharging your batteries for a busy 2016. It is going to be a great year of training. 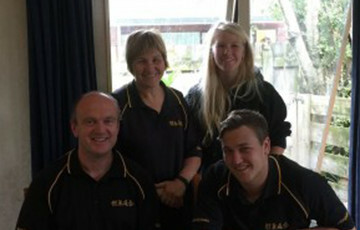 New Zealand Instructors spent yesterday planning so we are all set to go. In New Zealand our first class is on Wednesday the 13th January at Rototuna School hall. A newsletter will be out shortly with all dojo start dates and grading dates. PM me with your email address if you are not on the mailing list. January is a fantastic time for potential students to try out. Tell your friends and family members that the first class is free. Bring them along to any class and train together. The first grading for New Zealand is 2nd April in Auckland and 3rd April in Hamilton so come back to class as soon as you can so you can get your year off to the best start. Why languish on the same grade for six months when with a little bit more effort you can move through to the next grade in three months? Cant wait to see you all. We are rearing to go! It will be great to be on the 2016 journey with you.